You are here: Home / Our Practice Areas / Workers’ Compensation / How Much will I Get When I Settle my Workers’ Compensation Case? How Much will I Get When I Settle my Workers’ Compensation Case? Obviously every case is different and the settlement value of your case will depend on a variety of factors. 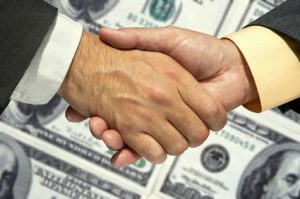 Our goal in settlement negotiations is to convince the insurance company that they have a significant financial exposure if they keep your case open, and that settling your case for a lump sum makes financial sense to them. At the same time, we may advise you that the time is not right to settle because you face too many uncertainties. The decision about whether or not to settle rests with you – and we will offer you the benefit of our experience and perspective. how much future medical care will you need – your employer’s insurance company is responsible for paying for your medical care. We will estimate the cost of your future medical care and include that in our settlement evaluation. future lost wage benefits – Georgia law limits you to collecting 400 weeks of lost wage (temporary total disability) benefits. We know how much you receive each week and we can figure out how many weeks you have left. This future TTD figure goes into our settlement evaluation. future associated costs – Georgia law allows you to seek reimbursement for transportation costs, prescription medication and some home health care expenses. Based on current costs we can estimate future costs and factor this number into our settlement evaluation. permanent partial disability rating (also called your PPD rating) – depending on where you are in the claims process you may or may not have a PPD rating. Your PPD rating is usually expressed as a percentage impairment to your body as a whole, so if we assume a 15% PPD rating, we can multiply your TTD amount by 400 weeks, then multiple that figure by .15 to arrive at a PPD number to plug into our settlement evaluation. If we assume a 20% rating, we would multiply by .20, and so forth. likelihood that your case will be deemed catastrophic. If your case meets the qualifications for a catastrophic designation the 400 week cap on TTD benefits does not apply, meaning that the insurance company’s exposure is that much higher. experience and know-how – with over 25 years’ of experience, attorney Ginsberg can offer you valuable perspective about how to properly value your case. Remember that the insurance company does not have to settle at all and judges in workers’ compensation cases do not issue verdicts like a judge might in a car accident case. You may have confidential motivations to want to settle (such as the need for funds to help a family member). All of these considerations go into our evaluation. Often the insurance company’s potential exposure may cover a range of figures and we can help you grapple with the pros and cons of accepting a settlement at a particular time.